The proceedings before the Supreme Court bench of in the case of R.Sakkrapani v Secretary, Tamil Nadu Legislative Assembly and others took an interesting turn on Wednesday with senior counsel, Mukul Rohatgi, counsel for the 11 MLAs, led by the current Deputy Chief Minister of Tamil Nadu, O.Paneer Selvam, arguing that a mandamus cannot lie to the Speaker. 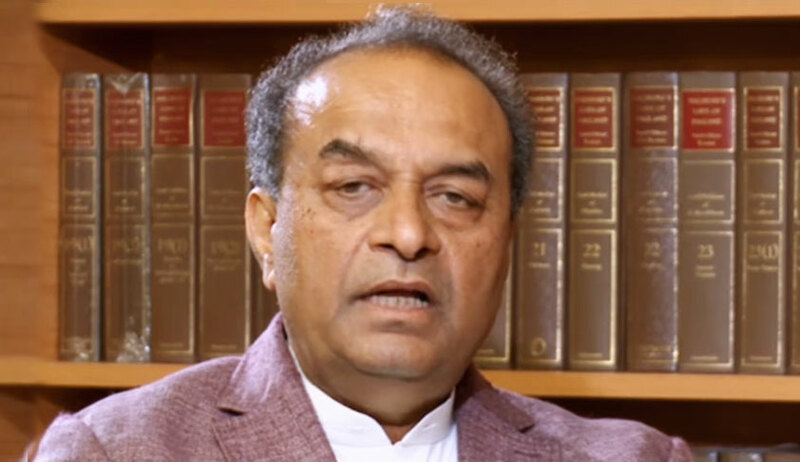 Rohatgi took this position on the ground that the issue is squarely covered in the case of S.A.Sampath Kumar v Kale Yadaiah and Others, which has been referred to a five-Judge Constitution bench on November 8, 2016, by a two -Judge bench of Justices R.K.Agrawal and Rohinton Fali Nariman. Interestingly, Rohatgi argued before the Agrawal-Nariman bench then that the issue had been conclusively settled in the case of Kihoto Hollohan v Zachillhu and Others (1992), which upheld the constitutionality of the Tenth Schedule to the Constitution, dealing with disqualification on the ground of defection. Notwithstanding anything in this Constitution, no court shall have any jurisdiction in respect of any matter connected with the disqualification of a member of a House under this Schedule. In Kihoto Hollohan, the Supreme Court struck down Paragraph 7 as unconstitutional on the ground that judicial review cannot be available at a stage prior to the making of a decision by the Speaker/Chairman and a quia timet action would not be permissible, the only exception for any interlocutory interference being cases of interlocutory disqualifications or suspensions which may have grave, immediate and irreversible repercussions and consequence. In S.A.Sampath Kumar, the two-Judge bench, while referring to this passage in Kihoto Hollohan, felt that it needed to be authoritatively decided by a bench of five Judges as to whether the High Court, exercising power under Article 226 of the Constitution, can direct a Speaker of a legislative assembly (acting in quasi judicial capacity under the Tenth Schedule) to decide a disqualification petition within a certain time, and whether such a direction would not fall foul of the quia timet action doctrine mentioned in paragraph 110 of Kihoto Hollohan case. In S.A.Sampath Kumar, as in the Tamil Nadu case, disqualification petitions had been referred to the Speaker of the Telengana legislative assembly on August 23, 2014, and “despite the hopes and aspirations expressed by the judgment in the Kihoto Hollohan,” the Speaker chose not to render any decision on the petitions till November 8, 2016, the date of the reference order. The two Judges requested the Chief Justice of India to constitute an appropriate bench to decide this question “as early as possible”. Despite the passage of two years since then, none of the successive CJIs have found it feasible to constitute a bench for the purpose, leading to a stalemate in the case pertaining to Tamil Nadu, with similar factual matrix. Meanwhile, the Telengana assembly had been dissolved, and a new assembly, after the recent general elections, has come into being. In S.A.Sampath Kumar, the Speaker of the Telengana assembly defied the Supreme Court by refusing to comply with its direction to file an affidavit stating how much time he would require to dispose of the disqualification petition, filed by the petitioner before it. The Supreme Court had no option but to keep its October 26, 2016 order directing the Speaker to do so, in abeyance as the latter contested the very jurisdiction of the high court and the Supreme Court to pass such order. Rohatgi also contended that assuming that the High Court can take over the functions of the Speaker, and decide the disqualification petitions, it could lead to serious consequences and a “complete mismatch”. When Justice Sikri pointed out that the contention on the other side was that the Speaker abdicated his responsibility to decide the petition, and therefore, it justified judicial intervention, Rohatgi shot back: “Just because the Speaker abdicated his responsibility, can the appellants abandon their prayers?” Rohatgi’s reference was to their dropping the prayer for mandamus to the Speaker, in view of the pendency of the consideration of S.A.Sampath Kumar by a larger bench. According to Rohatgi, since the SLP was bereft of any prayers, it should be reason enough warranting its dismissal by the bench. With Rohatgi expected to complete his arguments on Thursday afternoon, the senior counsel for appellants, Kapil Sibal and Abhishek Manu Singhvi are likely to respond to Rohatgi’s submissions.